When WeLoveFine.com asked me if I wanted to do something for the new X-Men movie coming out, I said yes - of course. 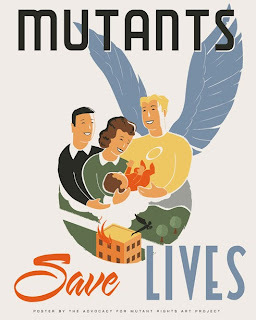 I love the new anti-mutant propaganda posters that recently came out tied to the movie so I wanted to do something from the Mutant side. 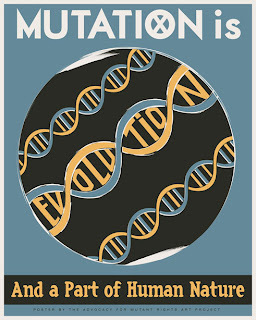 The result is some retro PSA posters and t-shirts (brought to you by the Advocacy for Mutant Rights Arts Project). 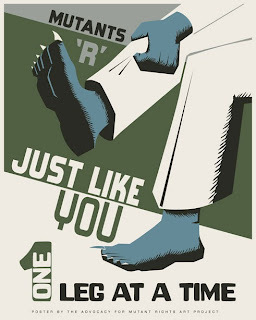 Pants on One Leg at a Time. Posters and shirts available at WeLoveFine.com! Lovely work. Keep posting such stuff. Very cool styling....and the content breaks the 4th wall a bit by through inclusion with the fan base. 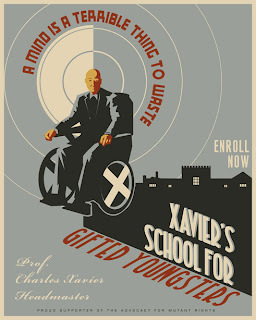 I would like to order the Xavier poster for our homeschool, but the link no longer works, and neither does going to welovefine.com. Is there any other way to get a hold of one? Become an agent of S.H.I.E.L.D.